Available in 2 sizes, 130mm and 170mm high. Antique bronze with gold and red detail. 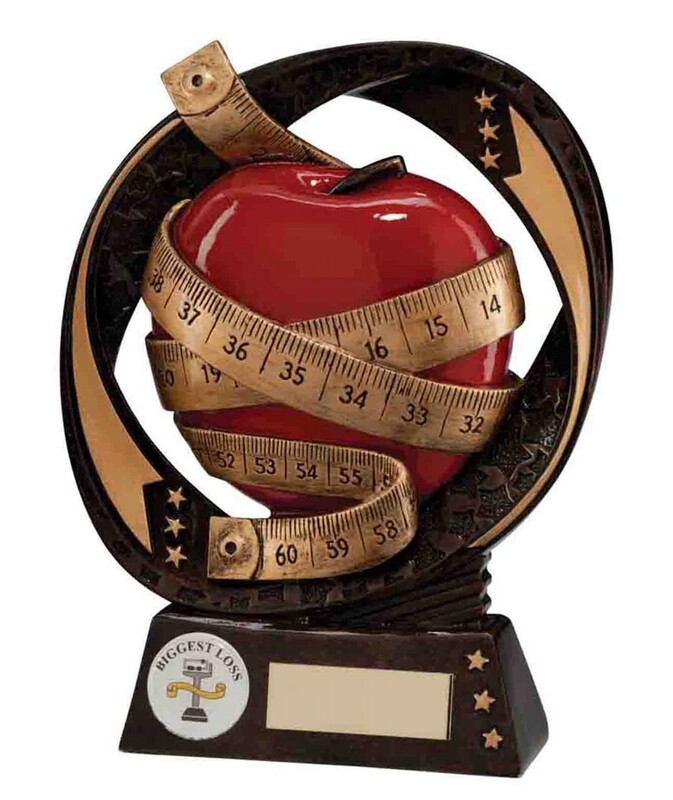 This great trophy depicts an apple and tape measure.